As a kid reading Greek myths for the first time, I was fascinated with the strange notion that the ancients looked at the moon and imagined it was the goddess Selene or Cynthia driving a horse drawn chariot that lit up the night. Later I learned the Babylonians imagined the moon as the blue-bearded Sin, the Lord of Creation, in a slow flight on his winged bull. The Egyptians saw the moon as Khonsu, the night traveler, who was sometimes depicted as falcon-headed or with the body of a baboon. 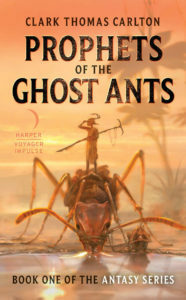 In the world of the Antasy saga, where humans are smaller than insects, the Hulkrites are a tribe that subsisted on eating the termites of their destroyed forest, a food they saw as the offered offspring of their god, Lord Termite. 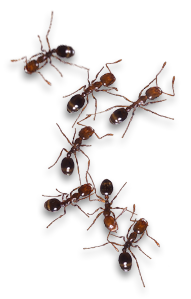 When the Hulkrites parasitized the nocturnal ghost ants as their war mounts, they became a monotheistic night people. Hulkro, the moon god, merged with Termite, to become a single deity, the Termite King who ascended each night to light the sky and empower the ghost ants in their ravenous destruction. 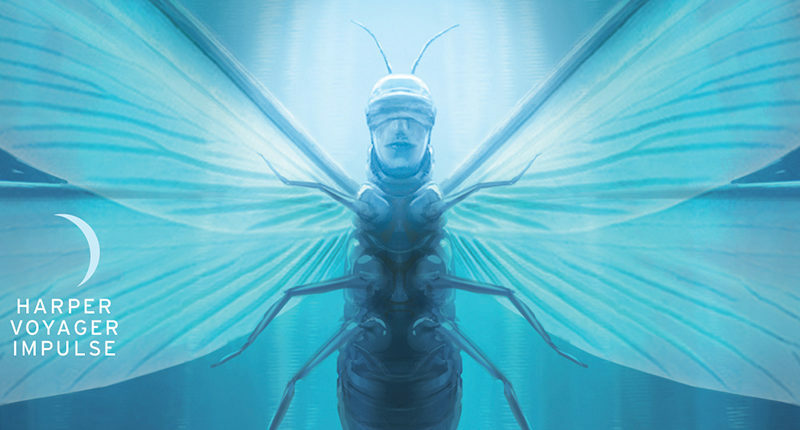 Most termites are eyeless, and as Hulkrish conquests absorbed other nations and races, Hulkro was depicted as blindfolded to show his love of all men regardless of skin color. 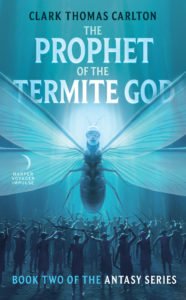 Guido Caroti, the Senior Designer at HarperCollins, suggested the cover for The Prophet of the Termite God should have a cool color contrast with the orange and yellow of The Prophets of the Ghost Ants. We discussed the idea of Hulkrish warriors assembling to worship the moon before they go into battle and seeing within it their Termite King. Excited to get this cover concept started, Guido linked me to the work of Daniel Liang, a digital painter and an extraordinary talent. Daniel’s meticulous work has a dark reverence within it, a chasm of moodiness and a godly attention to detail. 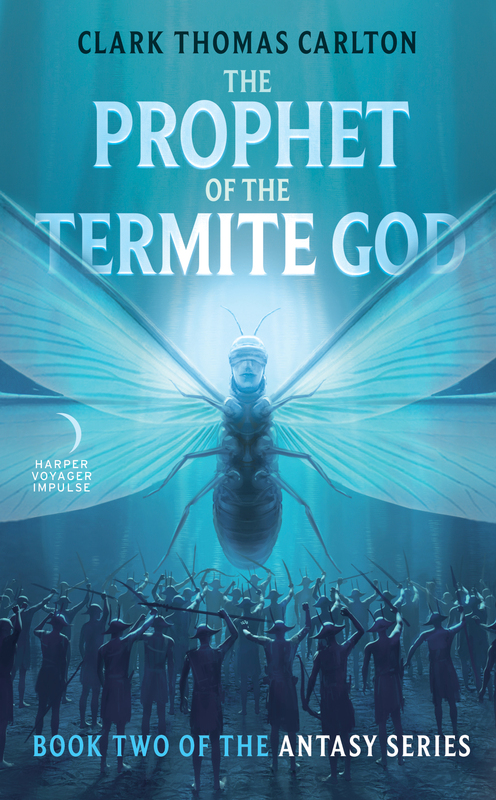 He gave us a spectral, haunting cover that pulls one into its intrigue and hints at a coming catastrophe.